The laws on water preservation, air, environment, forest and wildlife are being revised. This is your chance to stand up for what you care about. The consultation will be held on September 27 at 12 noon. Two Bangalore-based initiatives, HSR Layout Neighbourhood Improvement Programme and Positive Strokes take home INR 3,00,000 as prize money after winning the Safer Roads, Safer India innovation challenge. Dasara special: KRS round trip by KSRTC for Rs 375 only! Three special tour packages by KSRTC are ideal for those who want to get away from the din of Bangalore during the long weekend next week. 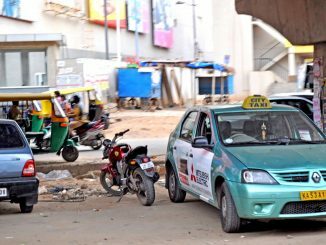 Most of you have faced it in Bangalore – the cab does not come to pick you up, at the expected time. There are interesting reasons to this phenomenon! Millions of workers who did not demand wage!